Windows Phone 7 seems to be catching up with some coolest stuff around. 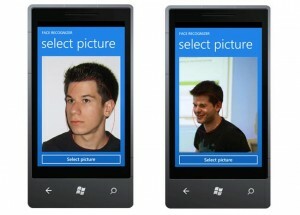 A Windows Phone 7 developer called Vangos Pterneas has created a facial recognition system for WP7 devices. The system uses the Facelight libraries which ironically are open source! The developer said that using Facelight was easy and only two XAML image controles were needed to be placed in time position. The upper XAML file called ImgResult will contain a red ellipse specifying the recognized face and the other one called ImgOverlay will contain the original bitmap source. The software can recognize skin and can detect only one face at a time for now. The software is not fully developed but Microsoft will certainly seek interest in working on it further.